Albert Camus, was one of the well-known early French 20th century existential philosophers. Following the Second World War, existentialism became a prominent philosophical tradition, and Camus, along with Jean-Paul Sartre, Simone de Beauvoir, and others in France, were the most active proponents of existentialist philosophy. European existentialism has its legacy in the works of Soren Kierkegaard, a Dane, and Friedrich Nietzsche, a German. The existentialists departed from the dominant philosophical stance of inquiry into objective truths, and focused on subjective human experience. Kierkegaard and Nietzsche did not use the term existentialism in their work. Existentialism is often seen as a dark and nihilistic view of life. Camus stated that “[t]here is only one really serious philosophical problem,” and he went on to say that this problem is suicide.” Indeed, that certainly does sound dark, and I would add that for me personally, this question is about taking responsibility for being alive. What this statement suggests to me is that each of us has the option, barring extreme and unfortunate circumstances, such as finding oneself caught in a mass shooting in public space, that remove such choice from a person’s hands: the choice to not exist. Even in the most unfortunate of circumstances where life and death choice is removed I and you still have the option as to how we will be in the circumstances that life has handed us. Assuming we have decided to live, and I would suggest that this is the outcome of an active process, the next important question is: How shall I live? This, I believe, speaks to ongoing reflection and inner work to discover identity. From the process of identity discovery, it can become increasingly apparent as to what really matters in one’s life. Such discovery is a multi-dimensional experience. It is comprised of thoughts, emotions, body sensation, and life force energy, and I must add all kinds of relational implications with self, other, the environment, and the universal dimension. Such reflection and inner/relational work has the major implication of taking responsibility for being alive, and consequently how I/you will live our lives, no matter what the circumstances. Bringing the above philosophical discourse to everyday life experience, what is usual as I have alluded to above is that individuals run into unfortunate circumstances in which something occurs that is not anticipated, invited, or wanted. Here, if individual persons are old enough and physically able, they are in principle capable of choosing to end life. Returning to Camus’ statement about suicide being the initial serious philosophical problem, what Camus is addressing is individuals’ taking responsibility for their being alive. The central point is that each of us has the option to end our existence. If we recognize this, then being alive can be increasingly taken as a conscious and serious choice. And we can approach this choice making, if possible, with a curious heart and mind. Camus’ question is, in my view, a potential doorway to living an increasingly full and engaged life. Does this constitute a spiritual life? Does this really open the door to more aliveness? I will leave this and other thoughts you may have to you, to reflect upon. As many of you know I was part of an educators group who wrote two books, made a number of conference presentations, and who has met regularly since 2006. The member of this group: Dr. Carl Leggo, Dr. Karen Meyer, Dr. Heesoon Bai, Dr. Marion Porath, and myself. As the oldest member of the group I often reflected on the aging and wisdom development process of myself and the group. 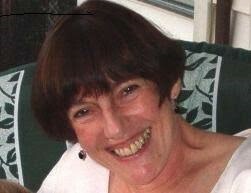 Within the last year, one of our members, Marion Porath, let us know that she had been diagnosed with brain cancer. Marion died recently. As an academic group we were unusual I believe. We met regularly and, in our meetings, did regular check-ins. So, we knew each other in a more personal way than has usually been my experience ins academic circles. The level of care and support was rich and rewarding both as recipient and as support giver. The loss of Marion was a deep shock to me. I have been working to come to terms with how such a vibrant and alive person could be taken at what seemed such an early age. Marion had only recently retired from her faculty position in the department of Educational and Counselling Psychology at UBC. She had been appointed at the level of Professor Emerita. She was well loved by her students and colleagues, and is sorely missed by many, and certainly by me and our small group. My contact with Marion towards the end of her life, and my knowing of her, showed me her ability to be with her illness and impending death potential in a most open way that was accepting of reality, and which did not at all impair her ability to take all measures that might help her. This image certainly captures how I remember Marion; smiling, positive, incredibly supportive, and very warm.